We decided to try strawberry picking this year! I'm not sure why I never thought to take the boys before; probably because it's something I don't ever remember doing myself. But we LOVE strawberries in this house and I can never buy enough. I knew it was near strawberry season in our neck of the woods and was pleasantly surprised to find that yesterday was the first day for picking. I figured that would either mean we'd hunt for the ripened ones or else we'd get first pick from lots of plump, juicy, berries. Either way we wanted to head out early and beat the hot afternoon sun. We were handed two large cardboard containers and headed up the road to pick. The boys had no idea just how low to the ground strawberries grew and we definitely did not beat the heat or the sun. Evan picked just a few and then asked me why we can't just buy them already picked. The other two boys were content to work until both bins were filled. Being in the hot sun they decided they wanted to go swimming after lunch to cool off. They started talking about all the things they wanted to do for the day and started talking about the various foods they wanted to make with our newly picked berries. We were probably only there for 45 minutes or so but we enjoyed ourselves & it's always good to try something new. This is only 1/4 of the strawberries we picked! We finished up our book on CD and stopped at the grocery store to pick up a few things for making strawberry shortcake. We sat together to eat lunch and I read two more chapters in The Phantom Tollbooth. As I cleaned up the kitchen they changed and headed outside. They spent the afternoon swimming in the lake and playing with the boogie boards and tubes. They enjoyed themselves tremendously and even when they started bickering they soon came to an agreement so as not to be left playing alone. Summer vacation is truly here! Practicing hand stands-- with only one hand! After swimming Evan decided to make chocolate covered strawberries. I helped him assemble the ingredients, showed him how to melt the chocolates and prepare the cookie sheet with waxed paper. I dipped one strawberry to show him how and then he went to town filling up the whole cookie sheet (eating a few along the way). He had so much fun and could not believe how easy it was! 1. Melt the chocolate and the Crisco together in the microwave until completely melted. We melted one bowl of milk chocolate and another bowl of white chocolate adding a tablespoon of Crisco to each. Make sure not to over cook the chocolate. We went in 15 second increments on our microwaving stirring a bit between. 3. 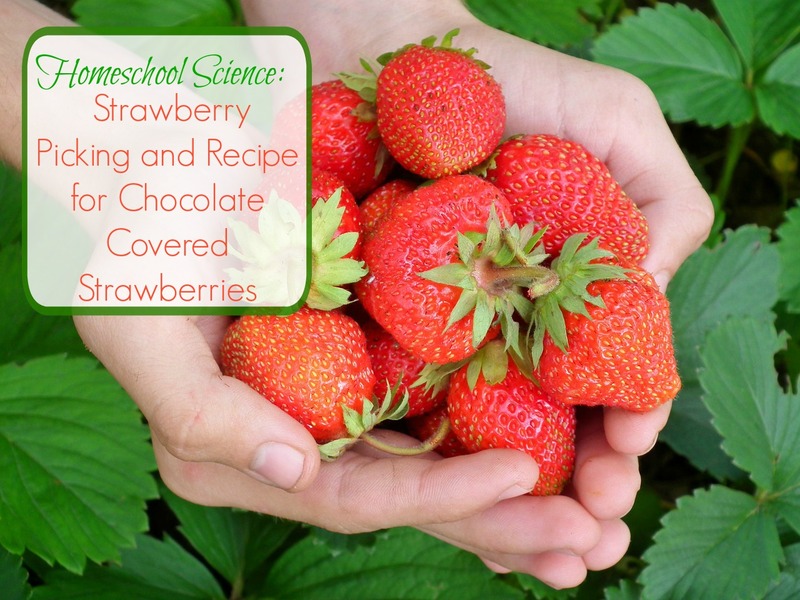 Holding the stem of the strawberry dip them in the melted chocolate. You can spin them around to make sure all sides are evenly coated. 4. Set chocolate covered strawberry on a cookie sheet lined with wax paper. When done pop the tray into the fridge until the chocolate is completely hardened. 5. Store in a container in the fridge. *to make tuxedo strawberries we first dunked the strawberry in white chocolate, set it aside to harden a bit, and then dunked two sides in the milk chocolate making sure a "V" of white chocolate remained. We then used a toothpick to make the "buttons"
I think they are my favorite fruit; especially when they're covered in chocolate. 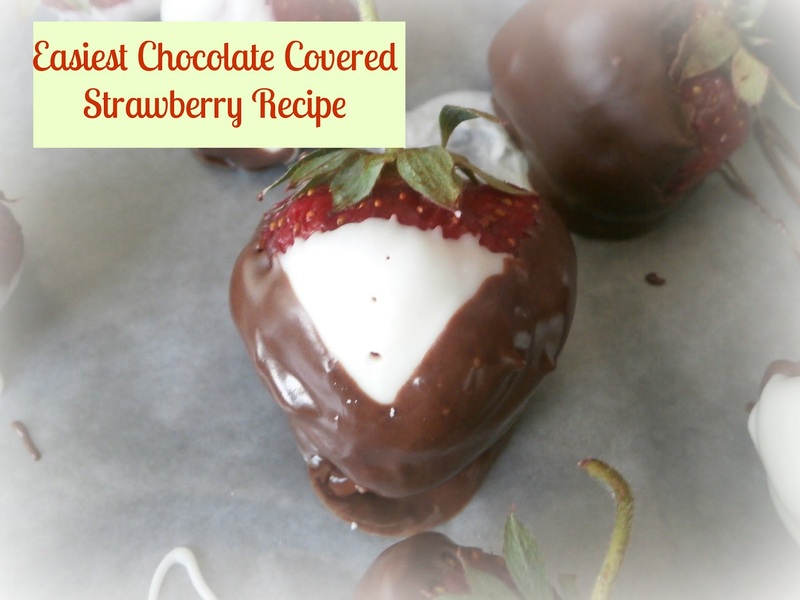 I just love fresh chocolate covered strawberries! We tried our hand at making our own strawberry jam this week too.